Egypt’s military says 16 jihadists were killed in the past four days during a major military operation against ISIS. 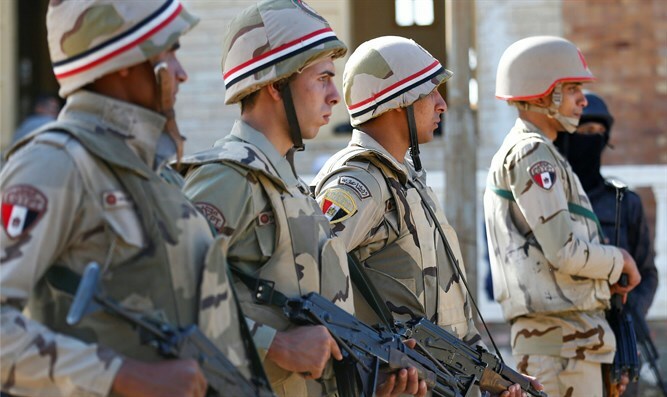 Egypt’s military said on Sunday that 16 jihadists, an officer and a soldier were killed in the past four days during a major military operation against Islamic State (ISIS) group jihadists in Sinai, AFP reports. Operation Sinai 2018 was launched on February 9 in the Sinai Peninsula, where Egypt has been fighting an ISIS insurgency for several years. The sweeping campaign was launched after Egyptian President Abdel Fattah al-Sisi, who is standing in elections for his second term this month, gave them a three-month deadline to crush ISIS in Sinai, according to AFP. He issued his ultimatum in November after suspected ISIS gunmen massacred more than 300 worshippers in a Sinai mosque associated with Sufi Muslim mystics. The military says it has evidence ISIS has sought to move members to Sinai following its defeats in Iraq and Syria.